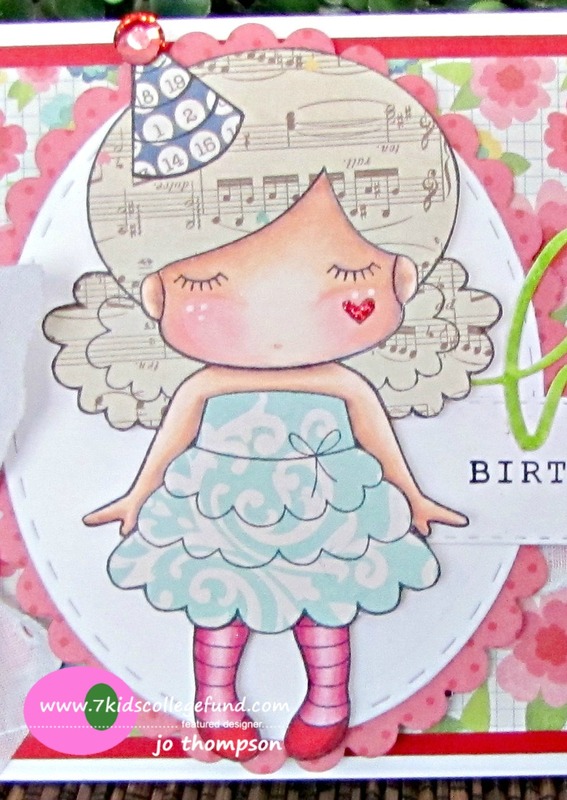 This sweet image is Paper Doll Marci Birthday from La-La Land Crafts. Her skin is colored with Copic Markers and the rest of her is paper pieced. I'm going to a crop next week and needed a birthday card, perfect! The "happy" die cut is from Mama Elephant - Happy Script Creative Cuts die. The "birthday" sentiment is from Mama Elephant - Happy Everything. I added a rhinestone bling for the pom pom. I recently got my hands on this eyelet scalloped trim and had to use it pronto! Love it! For the final detail, I added Christmas Red Stickles to the heart on her face. Happy Weekend! Here is my project for today. I'm using the adorable image from C.C. 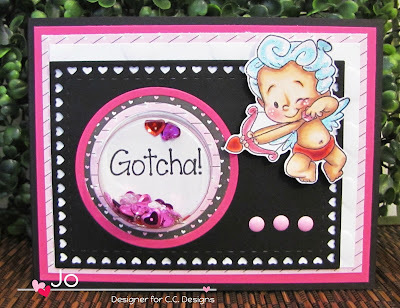 Designs - Roberto's Rascals Cupids. He is one of three Cupid images. The image is colored with Copic Markers. The hair and wings are glittered up with Stickles in Star Dust. For the remaining accessories, I colored them over with the Wink of Stella Clear pen. I decided to make a treat project using the Lawn Fawn - Goodie Bag Die. I used some oval dies, flowers and trim from my stash. 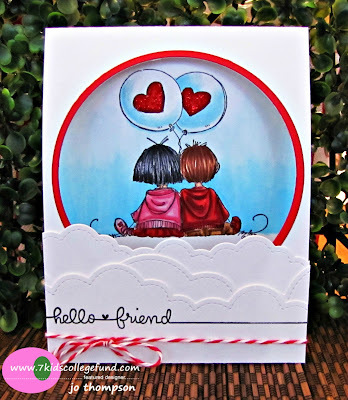 The sentiment "love ya" is pulled from Lawn Fawn - Flirty Frames. 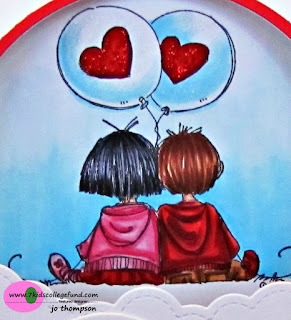 This sweet image is Stamping Bella - Valerie in love. I love couples stamps and this was definitely going in my collection. The image is colored with Copic Markers. The balloon is covered in Wink of Stella Clear and Christmas Red Stickles. I used a circle die to frame the image and on the bottom I used Lawn Fawn - Puffy Clouds dies. "Hello Friend" is from Mama Elephant - Sunday Sentiments. Hello everyone! How are you liking the January Release? Pretty fabulous! Here is my card using Swiss Pixie - Lil Love Bug. She is colored with Copic Markers and I used Wink of Stella in clear to shimmer her up. The sentiment "For a little love bug" is from Smoochie Sentiments. Can we talk about that heart border die? 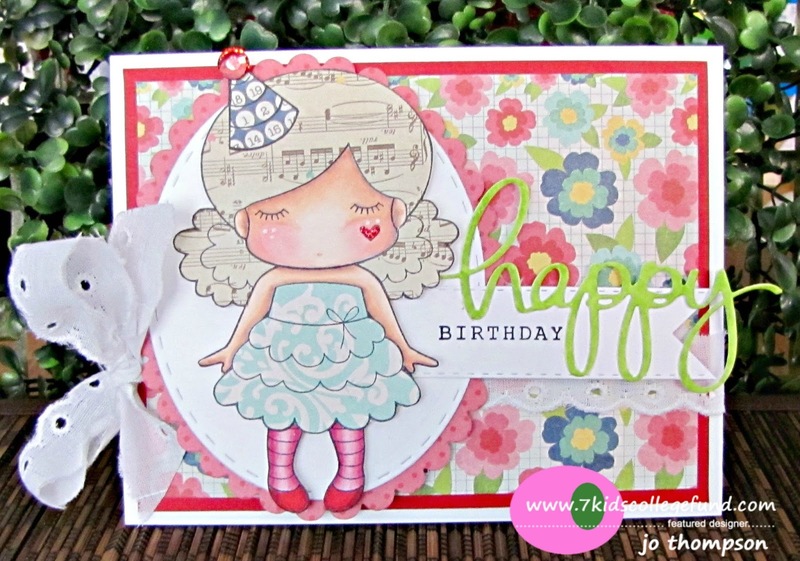 It is from Make A Card #12 Smoochies. I paired it up with Make A Card #9 Autumn. I also used the new Circle Layering Dies. Lastly the paper is from the Smoochie Paper Pad and the mini black enamel dots are from Smoochie Enamel Dots. Happy CHA Saturday! 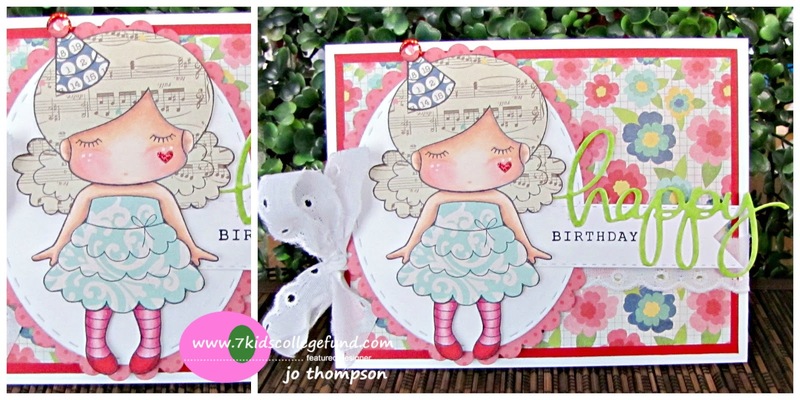 Jo here with my project for the 7 Kids Challenge Blog, "Anything Goes". Make sure you use a STAMP/IMAGE carried in the 7 Kids College Fund Store in order to qualify. I got my hands on some Lawn Fawn goodies. 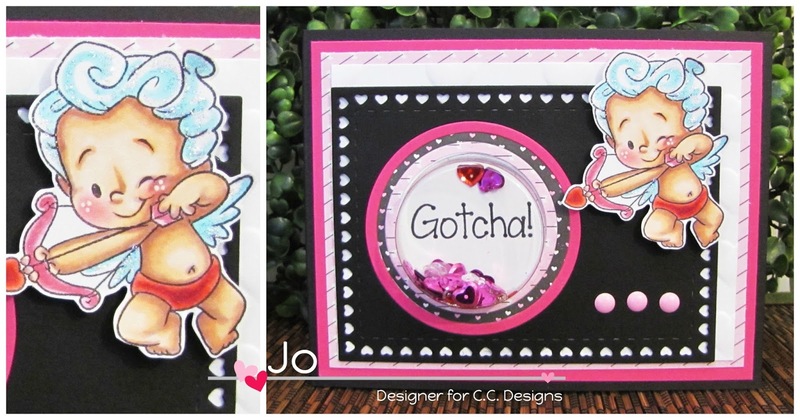 I used Lawn Fawn - Rainbow die and cut it out in white cs, then colored the individual strips with Copic Markers. I created the fluffy clouds with the Lawn Fawn - Puffy Clouds Border Dies. I used a circle die to trim the edges. Lastly, the sentiment "oh happy day!" is from Lawn Fawn - Gingham Backdrops stamp set. I had some red glitter scrap paper and cut it out with a heart punch. I love this card, not very fancy but not quite a CAS card. Today is the official RELEASE DAY for all of our new JANUARY products!! As you have seen from our Preview Days, all of these items are perfect for Valentine's Day and all those lovey dovey cards! You can view the entire release HERE! As we mentioned all our stamps going forward will be CLEAR! 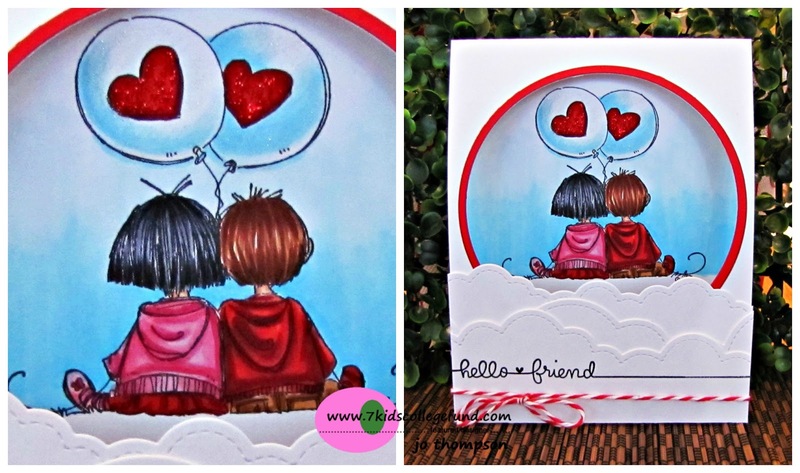 We have 8 adorable clear stamps, 1 Smoochie Sentiments Clear Stamps, Circle Layering Dies, Make A Card #12 Die, Smoochie Enamel Dots, and 1 new Smoochie 6x6 Paper Pad. 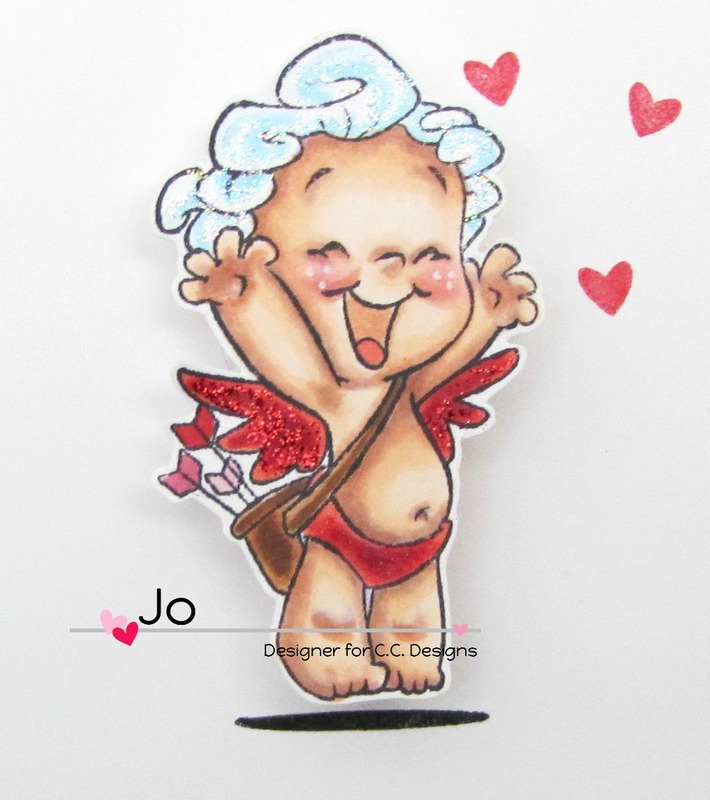 This is one of the three Cupid images from the clear stamp set. I used a treat window container filled up with sequins to house the "Gotcha!" sentiment from the stamp set. The cutie is colored with Copic Markers and Star Dust Stickles. 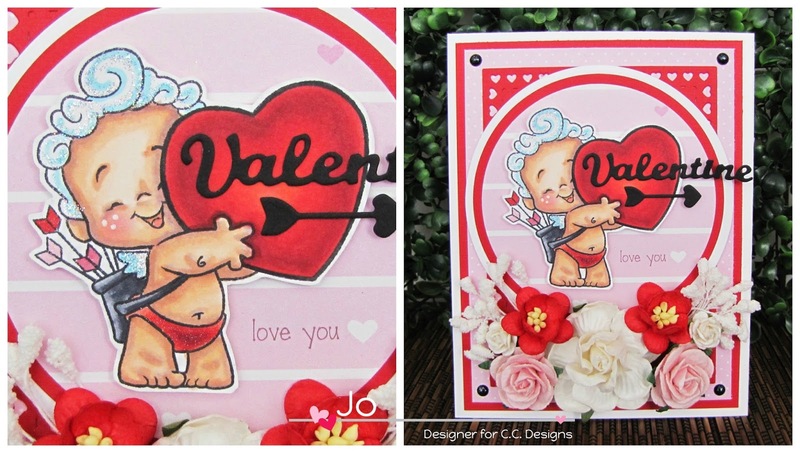 I've used all three of the Cupid images on my previous cards leading up to this Blog Hop. I used the Circle Layering Dies to create a target frame for the shaker window. The heart frame border is from the Make A Card #12 die set, as well as the pink dots from Smoochie Enamel Dots. The pattern paper is from the Smoochie 6x6 Paper Pad. **This Blog Hop will end on Sunday, January 10th at NOON, 12pm EST! Winners will be announced the following week! Hi everyone, here is my card showcasing another image from C.C. Designs' January Release. 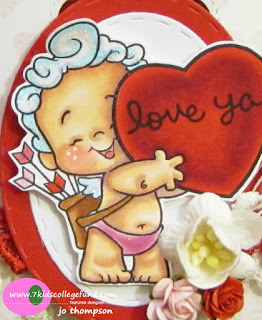 Like my previous card, this image is from Roberto's Rascals - Cupids. They are so stinkin' adorable. I colored him with Copic Markers and placed the image on an Action Wobble spring. 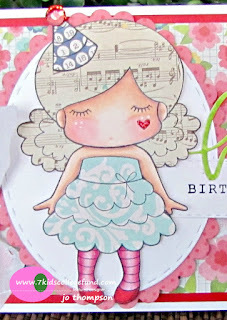 I created a pattern on the bottom of the card using the XOXO border strip from the Smooches Sentiments set. The tiny heart is from that one as well. I hope you are enjoying this release. Thanks for stopping by and make sure to visit the C.C. 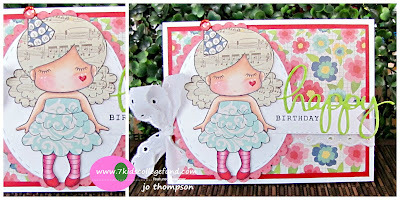 Designs Blog for more peeks of the January Release! Happy January friends! This cutie is from the C.C. Designs January Release. Who is in the mood for love? 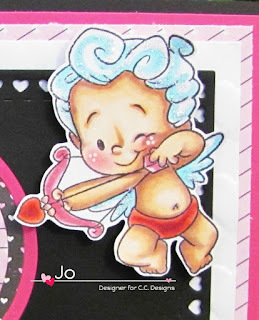 This cutie is from Roberto's Rascals - Cupids. This is one of three images. He is colored with Copic Markers. I added Star Dust Stickles on the hair and wings. The Cupid is placed on the layered circles from the Circle Layering Dies. 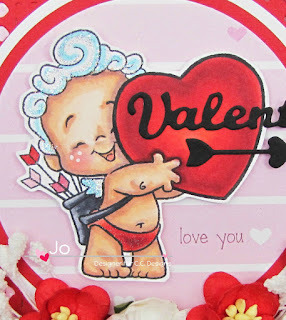 I used the heart bordered frame in the background and the "valentine" and arrow dies from Make A Card #12 Valentine. Lastly, the new release came out with a coordinating paper pad - Smoochie and enamel dots. Thanks for stopping by and make sure to visit the C.C. 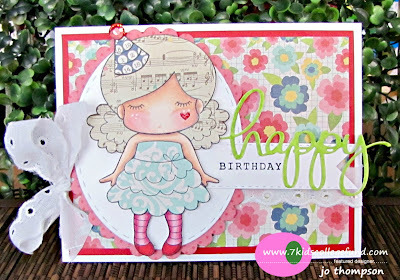 Designs Blog for more peeks of the January Release!